Let’s now dive into an excerpt from this author’s short story “The Gift of the Magi.” O. Henry was a prolific writer who wrote over 300 short stories. He is sometimes referred to as the champion of the ironic twist. Read O. Henry’s short story “The Gift of the Magi.” To get the gist of the story, first read the entire text, paying particular attention to the literary elements relating to character development discussed in this lesson: the types of characters (round and flat), and the ways of developing characters (speech, thoughts, effects on others, actions, and looks/description). Which type of character does Della represent? a. Round; I know this because O.Henry describes her sentiment and actions in great detail. b. Flat; I know this because the author spends equal time describing trivial items—for example, a cat, Christmas. How does the author characterize Della? Which method of character development does O.Henry use to help the reader understand the character of Della? Which type of character is Madame Sofronie? a. Round; I know because she plays an important part in the story’s plot. b. Flat; I know because she does not go through any changes in the story. Which method of characterization does O.Henry use to show how Della feels about cutting off her hair? Which of the following represents the author’s use of a major event in the action that takes place? Which of the following elements does the author use to show the reader Della’s decision to break the big news to Jim? 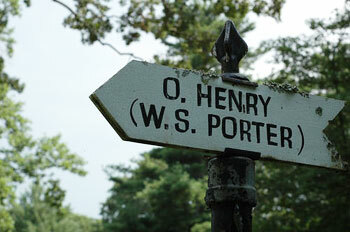 Toward the beginning of the story, O. Henry includes a major event in the lives of his characters. Which of the following devices does he use? b. Dialogue: “Give it to me quick” [to Madame Sofronie]. Which of the following characterization techniques does O. Henry use to present the final major event in the story’s action (the ironic twist)?